28. Manage wooded land for birds as well as trees. 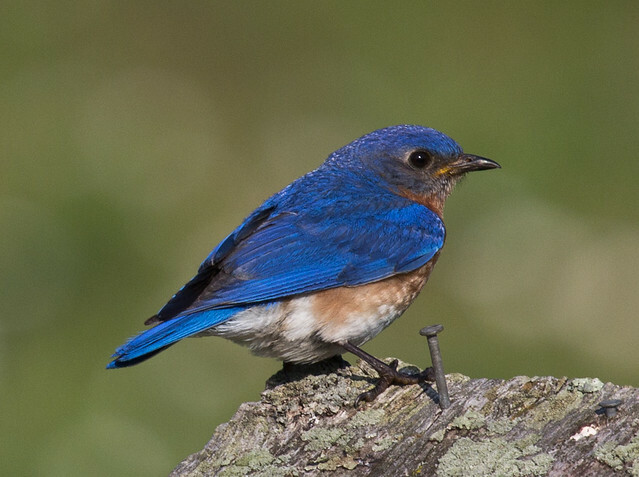 Bluebirds are cavity nesters, as are 85 species of birds and 49 species of mammals and numerous species of reptiles, amphibians and invertebrates. There is a habitat and housing shortage for cavity nesters. When I was the wildlife biologist on the Sam Houston National Forest I met John Grivich in Huntsville, Texas. John was known as Mr. Bluebird and TV stations and school children came to his house to hear the story. John had a goal of putting out 10,000 bluebird boxes in Walker County and when he died of a stroke he had put out almost 7,000 bluebird boxes. I have often wondered why people that say they are interested in and care about birds refuse to help cavity nesters by putting out nest boxes and saving snags. Nest boxes are not as good as snags but help fill the gap for a shortage of habitat. It takes about 100 years to get a tree big enough to be a good cavity tree and 30 years for fungi to convert the heartwood to conditions that might be useable for cavity nesters. Secondary cavity nesters like bluebirds need primary cavity nesters like woodpeckers to first make the cavity which they use when the woodpeckers are gone. Many people do not like dead trees and cut them down. When I was the Forest Wildlife Biologist on the Kaibab National Forest, I was asked why we let dead trees stand in the Forest? The Kaibab National Forest had 64 species of wildlife that needed snags. Singing, Viewing, Pecking, Seeking, Capturing, Hawking, Drumming, Grooming, Excavating, Incubating, Reproducing, Hibernating, Hunting, Landing, Loafing, Regulating, Nesting, Constructing, Aestivating, Plucking, Resting, Enticing, Courting, Competing, Defending, Rearing, Escaping, Rearing, Wedging, Communicating, Hiding, Observing, Storing, Climbing, Raking, Perching, Brooding, Roosting,Feeding, and Gleaming. Every species of birds need a John Grivich in every county in this country. 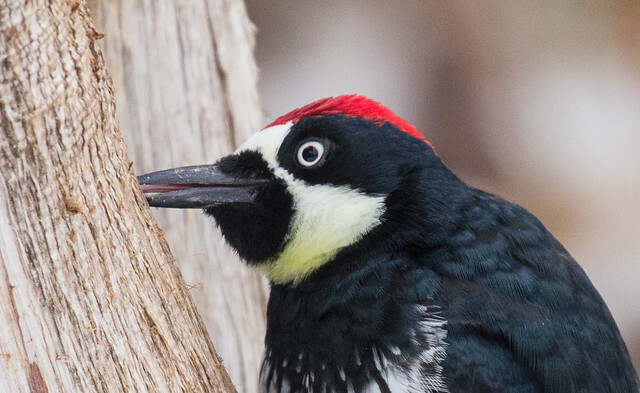 Our birds need people that can retain snags, provide nest boxes and take up a cause, a soapbox standing cause to start returning our habitat and bird populations to a healthy number. Research and surveys have shown that only one percent of the population is willing to do anything to make a difference. Many labels on medication tubes state one percent active ingredients and 99% inert filler. Our birds need you to be that one percent of active ingredients and not just filler living a life of doing nothing more that taking care of your biological needs. The habitat problems were created one person at a time and will have to be solved the same way. If you are not doing your part the job is not getting done. If you are not going to do more for birds in this lifetime, what lifetime do you plan to start? As paper production increases and as we make more furniture and building materials out of wood products rather than solid lumber, forests are cut at younger ages. When any forest is clear-cut, it grows back, of course. But the first trees to return are pioneer or early-succession species, such as aspen, that grow well with a lot of sunlight. Only after these pioneer species grow and can provide shade can other trees, such as maple, beech, and basswood, start to grow. Different birds have different habitat needs. There’s no such thing as a generic forest—there are characteristic species mixes for scores of forest types. A few birds are so specific that they must have one particular tree dominating their habitat. 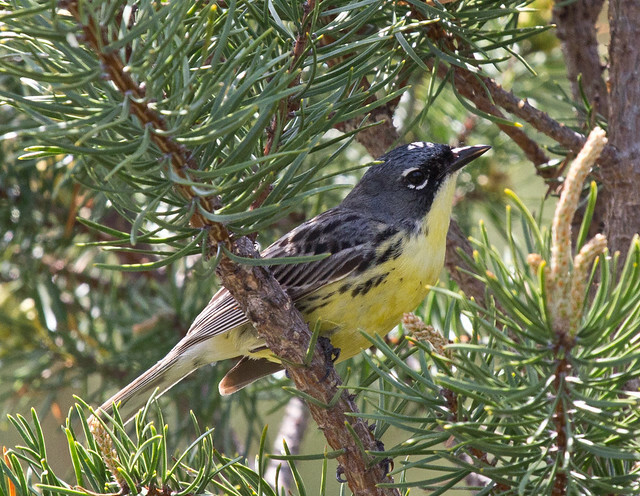 Kirtland’s Warblers nest only on the ground beneath the lowest branches of jack pine trees. Other birds depend on something associated with the trees. For example, Northern Parulas build their nests of Usnea lichens in northeastern forests and Spanish moss in southeastern forests. Other species are more flexible. 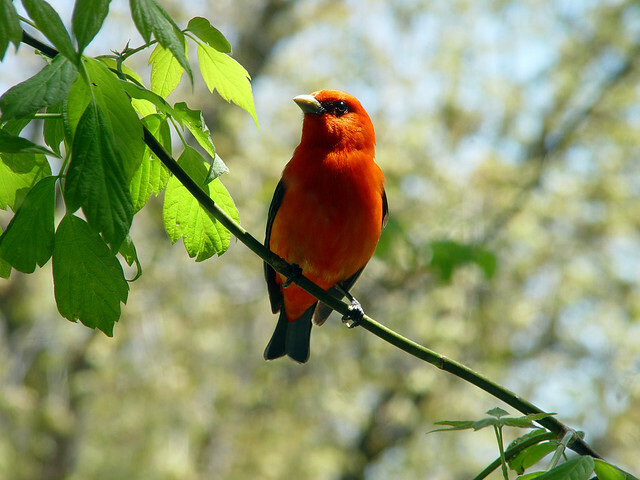 Scarlet Tanagers can live in a wide variety of deciduous or mixed deciduous-coniferous forest types, but they prefer mature forest, especially with oaks. 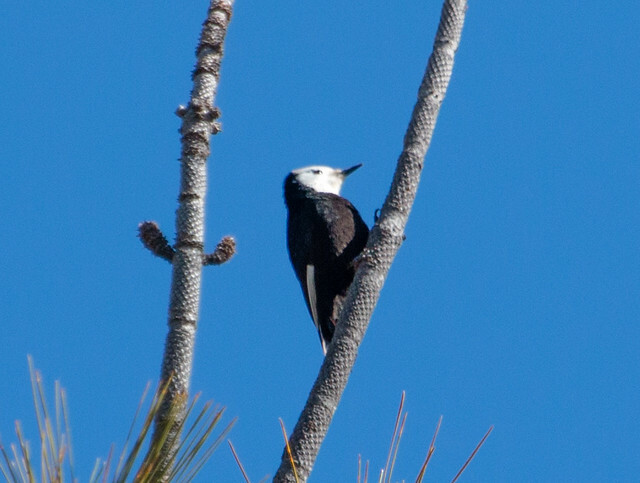 White-headed Woodpeckers, of the far western mountains, require montane coniferous forests dominated by pines, with tree species varying geographically. For most people who own forestland, one of their considerations is the bottom line, which in this case is determined by the value of the lumber, how long it takes to produce, how much it costs to protect it against insects and disease, and how much it costs to cut and transport. But most owners also enjoy the aesthetics of their forests and don’t mind spending a little time and money to ensure that their land serves wildlife as well. The expense of protecting forests from insects and diseases goes up dramatically on monoculture tree farms. When there is a mixture of trees, diseases don’t spread as readily or become as virulent. Monoculture forests don’t support much wildlife, either. Unfortunately, for many decades, “supporting wildlife” was synonymous with “producing white-tailed deer.” But it is becoming increasingly obvious that deer cause many problems for humans and birds alike, changing natural vegetation, the composition of forests, and the quality of habitat in the forest understory. Native plants are being overbrowsed to the point where some are becoming endangered and even extirpated from large areas. And studies show that deer eat a surprising number of eggs and nestlings of ground-nesting species. Despite these problems, the all too common occurrence of deer-automobile collisions, and the declining number of deer hunters across most of the nation, many state departments of natural resources are still working to maintain high deer populations. This situation is exacerbated by the increasing amount of forest acreage managed for pulp and paper, since aspen is an important food for deer. 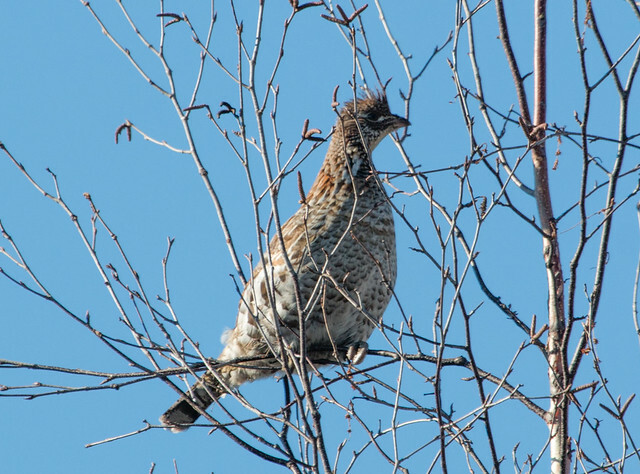 Ironically, although aspen is an equally important food for Ruffed Grouse, deer-related damage to the forest understory and perhaps directly to grouse nests is likely a significant factor in this species’ current population decline. Excluding deer from woodlots can be an important way of fostering birds. But that is far easier said than done, and some of the most effective ways of excluding deer, such as by planting buckthorn and other nonnative plants that deer don’t eat, can cause other serious problems. Deer overpopulation won’t be controlled until there is a widespread acknowledgement of the problem and a willingness on the part of state agencies and the U.S. Forest Service to stop catering to deer hunters and the paper and pulp industries and to start managing more acreage for mature and old growth. 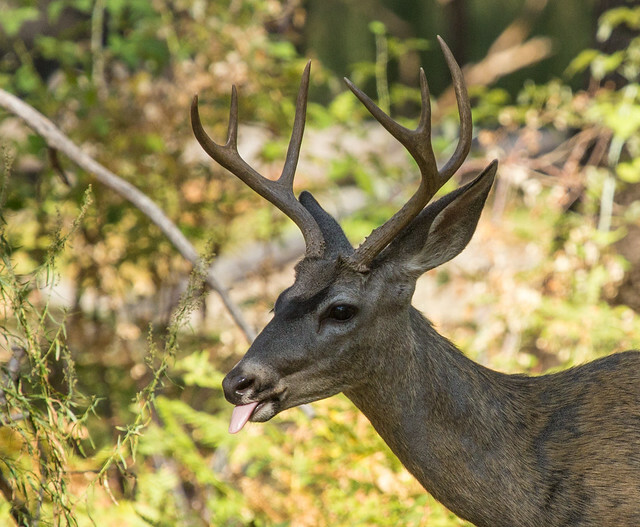 Deer hunting can be extremely dangerous for birders and others who visit the woods during hunting season, but when the deer population is excessive, both the legal take and the length of the hunting season should probably be increased. The long-term goal must be to reduce the deer population to healthier and sustainable levels. 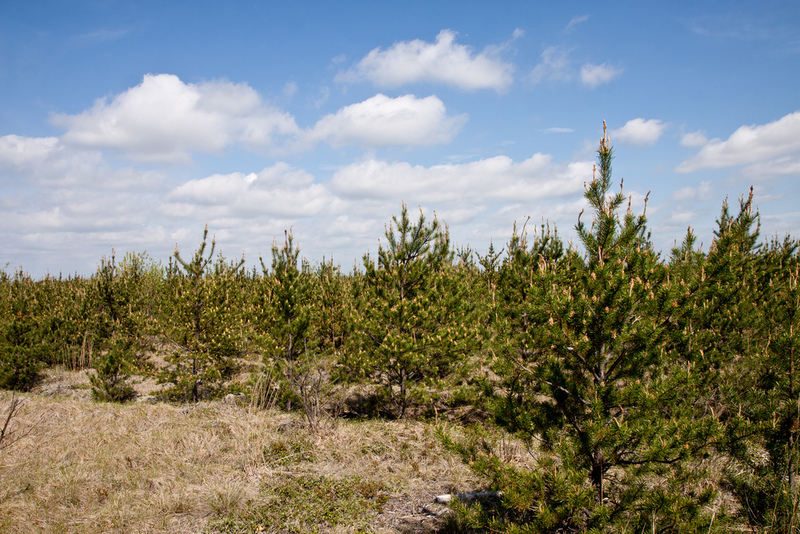 The biodiversity of our woodlots and private forests should be fostered by actively planting and nurturing a variety of native trees, especially later-succession species. When one of my middle-aged friends started planting oaks and other trees that take many decades to reach maturity, some people told him that it was a waste, since he’d never live to see a profit from them. But he’s already being rewarded by the assortment of birds that now spend the winter or summer in his woods or pass through during migration. In the long run, fostering diversity in our forests will protect them from diseases that spread like wildfire through a monoculture, and it will promote a more enduring, healthy natural environment.